Whilst we all know that the summer heat can be quite harmful to our skin, it can be damaging to our hair as well. The UV rays harm our locks in more ways than we know, leaving our hair damaged, dry and dehydrated. Sometimes it's best to leave it to the professionals. According to Julian Kempster, a senior hairstylist at Pastels Salon, "there are many treatments that you can have in a salon to keep — or put back — moisture in the hair. One such example is KeraStraight. Rather than rely on harmful chemicals such as formaldehyde, KeraStraight KS Ultimate employs active ingredients, namely the innovative KS Complex, to encourage the re-building of keratin, which in turn repairs and strengthens the hair shaft to leave hair revitalised and with an incredible shine. It's a great treatment to have in summer and there is a range of take-home products to keep its efficacy." Also, the salon offers another treatment called Kerastase Fusio Dose, which is "a range of intermixable shots that can be combined to create a bespoke treatment cocktail perfect for your hair." If you live an on-the-go lifestyle, getting a quick fix at home may be more your style and one way to restore your damaged locks is to "fix the hair with protein products, before expecting treatments to enhance the condition of your hair," says Kempster. He adds that the "KeraStraight Protein Mask is a great option for this" and warns that damanged hair is not always as it seems. "One thing you should remember is that there is a misconception that if the hair is damaged, it lacks moisture. But often the case is that if it is broken, by adding moisture you just smooth over broken hair, whereas, in reality, you should fix the hair with protein products." What happens when you merge nourishing oils with doses of sweet-smelling ingredients? You get a hydrating formula that acts as a perfume, too. Ouai's best-selling option seals in moisture and helps your hair shine while protecting it from heat damage. 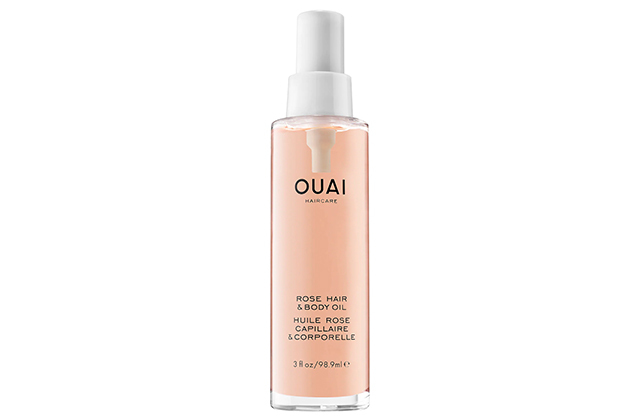 Ouai's Rose Hair & Body Oil product are available at Sephora boutiques across the Middle East. If when the humidity kicks in you begin to look like Monica in Barbados, L'Occitane's game-changing Heat-Protective Control Mist is for you. It helps to neutralise frizz and control your hair. Injected with heat-shield active ingredients that help protect hair against the heat (as well as styling tools such as blow-dryers or straighteners), the silicone-free mist will leave your locks smooth and silky thanks to essential oils and moisturising jojoba oils. 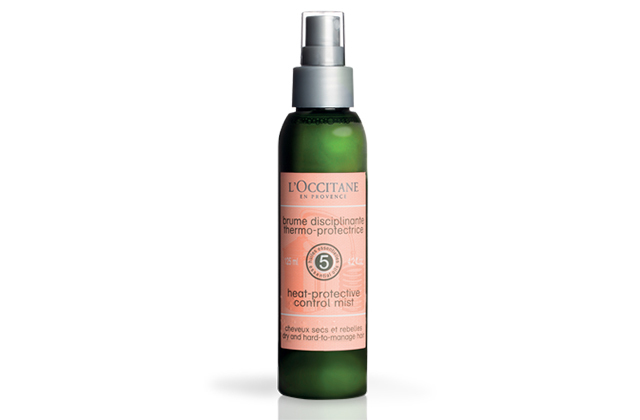 L'Occitane's Heat-Protective Control Mist is available at L'Occitane boutiques across the Middle East and online at ae.loccitane.com. Known as a brand from which you can personalise your own formulas, Form also offers a selection of must-try, ready-made products. One such product is its Protect Heat Serum. A trio of thermal protectants help prevent heat damage, provide shine and leave your hair feeling silky. Plus, there's an injection of argan oils that will lock in moisture throughout the day. Form's Protect Heat Serum is available formbeauty.com. Here in the Middle East, there's perhaps nothing we love more than products that have 24k gold in them. 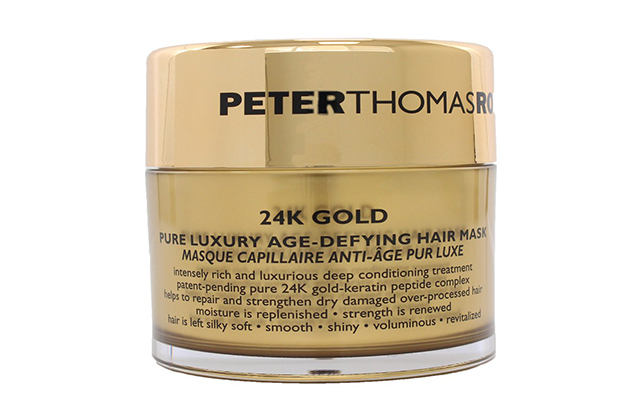 Peter Thomas Roth's age-defying hair mask has gold in it and it'll give your locks a salon look and feel thanks to its ultra-rich and luxurious deep conditioning treatment. The formula includes a patent-pending 24K Gold-Keratin Peptide Complex Technology, as well as ingredients including heat-activated proteins, keratin, biotin, pro-Vitamin B5 and shea butter. Peter Thomas Roth's Pure Luxury Age-Defying Hair Musk is now available at Sephora boutiques across the Middle East. Now, discover six beauty brands by celebrity stylists you need to shop now.